Here is my latest giveaway! I am REALLY excited about this shirt, and I hope you guys enjoy it! This one-shoulder, greek-style top is named after the greek goddess Hera, who for very complicated reasons I won't go into is associated with peacocks. Hence the beautifulturquoisecolor. This beautiful, very comfortable shirt can be worn 3 ways (shown below) and can fit a size xs to a large. There is one difference between the shirt I'm giving away and the one in the picture. The giveaway shirt has a band of the same fabric around the bottom, because I felt it was a little too short. If you don't want that band there, you can simply cut it off! Now, for the rules. Read carefully! You can enter 1, or 2 times. 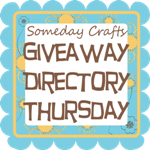 For 1 entry: Leave a comment and follow my blog! For 2 entries: Leave a comment, follow the blog, and link back from your blog! Amazing colour and a great style! Fabulous shirt! I'm a follower of your blog and love all your stuff (especially tutorials I can try if I'm brave). that is a gorgeous shirt! I love that color it is fabulous! I have been following your blog for a bit now! Love it! wow, that color is gorgeous! you are one clever seamstress. Fantastic design. Love the color. That's such a lovely color! Thanks for the giveaway! I'm already a follower of your blog! I linked back in today's post! Love this top!! color, cut, style - everything is awesome! This top is adorable. I am signing up as a follower and adding you to my blog roll. I was planning on doing that before I realized you were having a giveaway. I might as well enter the giveaway as well. Thanks. Lovely shirt! Thanks for the giveaway! Oh teal, how I love thee so! Beautiful! so cute! all 3 ways are so beautiful! This is such a cool top and a beautiful color! Lovely! 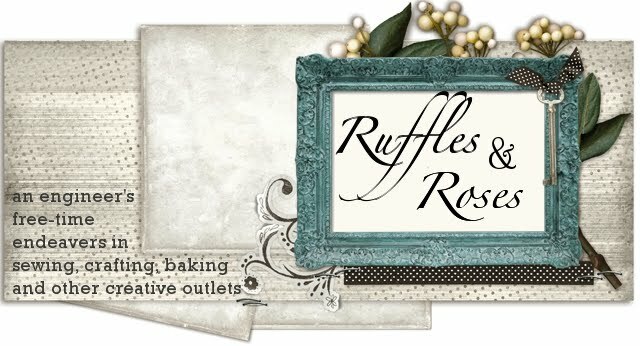 I just stumbled onto your blog and I adore it already! oh and i am a new follower under kshuttle! Love it please enter me. I'll link and link! Would love this for my darling daughter. Thanks for the offer. Glad to find your blog! Hi I wrote a post and inviting my readers to join. Although I don't get this because the more that join the less chance I get. Dawng it! Thanks for the give way. Pick me! Oh I am following too. I'm a follower of your blog! It's great and the top is fabulous! What a great shirt and the colour is to die for. Probably why it's my and my daughter's current fav! i'm following now-Dana J. Love the shirt and color-that shade is very flattering. love this shirt..its very nice.I'm a follower of ur blog..actually ur tutes are very helpful.i even refashion my cloths by looking through ur tutes..
this shirt is so beautiful and professional!! i love it! This is beautiful! I would love, love, love to win it! Thanks for the opportunity. Oh my...this is absolutely lovely! I'm also a follower. This shirt is gorgeous! I love the color for fall! I'm totally inlove with this colour and the different ways to wear it is brilliant. Thanks for the chance to win. Such a beautiful shirt and I adore the color. I'm following your blog! LOVE that color! Beautiful style, too! Blogged it over at http://mamalusco.blogspot.com Thanks! Awesome design! Does it come with instructions on how to wear it the different ways? Such a beautiful top!!! Great color! Gorgeous color... as a brownish redhead, it would suit me beautifully. Great site! awesome shirt and beautiful color! Love the cut, love the color. That's lovely! Can't believe you can bear to part with it! 2- Turquoise/teal was ALL over my wedding! 3- Turquoise/teal is ALL over my new home! Love this shirt! I was just thinking I wanted to try a 1-shouldered look and then found this! I've been following the blog a while and love the tutorials. Thanks! So so pretty! Please do a tutorial of this, I love your tutorials! Wow, this is gorgeous, thanks so much for hte chance to win something so lovely! This is so beautiful!! Love it :) Thanks. I love this shirt and i LOVE the color! Thanks for the giveaway! What a beautiful shirt! It looks both comfortable and versatile. I absolutely adore it! ooh la la! this shirt is stunning. So glad I stumbled into your blog. What a great place on the www and what a beautiful giveaway. Count me in! This is so cool! Definitely want to follow your blog not only for the giveaway, but also for inspiration! You're awesome! omigosh I LOVE <3 THIS SHIRT! and I LOVE your blog! What a beautiful shirt! I love the color, and would definitely buy it if I saw it in a store. You got some talent, girl! Loooove this shirt!<3 Where did you get the idea? The length and the color are flattering to all skin tones and body shapes! Great job!!! Love it! How did you make it? This shirt is so cute! I love your blog! You are so talented! Following! Also, I love the detail of the strap in the last picture. Your blog is wonderful! I am entering to win the "Giveaway" for the awesome shirt!!! What a gorgeous shirt I love the grecian design it would look lovely with both trousers and skirts.Your tutorials are always easy to follow even for a beginner at sewing.I can't wait to have a go. This shirt is perfect! I love the multi-uses of it. It is perfect for a college kid on a budget!! Wish there was a tutorial! I've been DIYing like crazy this summer!! Your blog is fantastic!! I will definitely be visiting it regularly!!! Guest Tutorial - Sewing Basics!